On June 24-28 2017, Honolulu hosted the Annual Plant Biology Meeting powered by the American Society of Plant Biologists (ASPB). 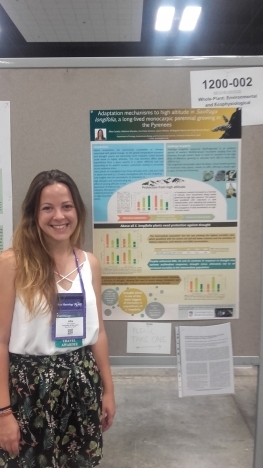 This international conference met more than 1,500 scientists from different countries, and Alba Cotado from the ANTIOX group was one of them, thanks to the ASPB travel award she received in recognition of her hard work in plant physiology during the last months. 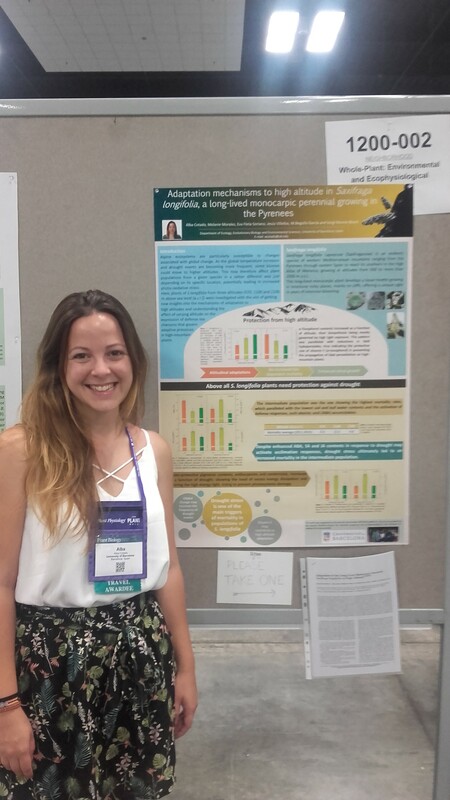 She presented her lasts results on Saxifraga longifolia with a poster and an oral communication entitled “Adaptation mechanisms to high altitude in Saxifraga longifolia, a long-lived monocarpic perennial growing in the Pyrenees“. Her work was framed in the Environmental and Ecological Plant Physiology ASPB Section (EEPP).